Castletown House is a splendid Palladian-style mansion set in Celbridge, County Kildare on extensive 18th-century parklands. Stop by and visit the unique Print Room, Long Gallery and magnificent Portland stone staircase in this incredible house. 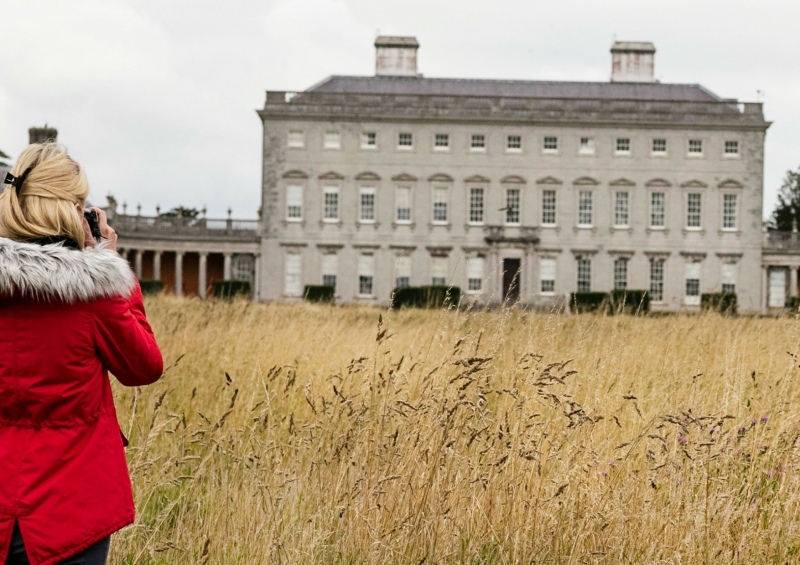 Castletown is the largest and most significant Palladian style country house in Ireland. The house is set amongst beautiful 18th century parklands of Celbridge, Co.Kildare. The house was built c.1722 for the speaker of the Irish House of Commons, William Conolly (1662- 1729) the designs of a number of important architects were used, notably Alessandro Gailiei, Sir Edward Lovett Pearce and later Sir William Chambers. The entire estate was sold by the Conolly-Carew family in 1965 to a property developer and in 1967 the house and some parkland were purchased by the Hon. Desmond Guinness. Both Mr Guinness and subsequently the Castletown Foundation, who acquired the house in 1979, devoted considerable effort and resources to maintaining the house and restoring the principal rooms to a high standard. Visit Castletown House to explore the beautiful 18th-century parklands, with river walks, a temple and the remains of a bathing house.